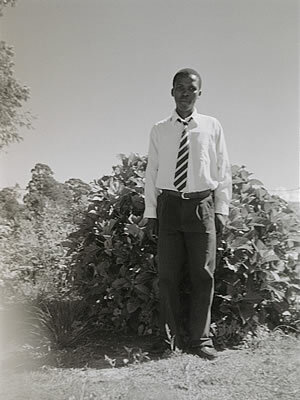 Melithafa Nduduzo is 18 years old and left by his mother to his grandmother. Grandmother died when the guy was still young. 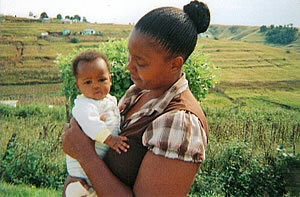 Nduduzo was taken by his uncle so attached to him and loved by him, unfortunately the uncle died of HIV/AIDS. Nduduzo’s mother did not come back home, no one knows where she is others suspect that she can be in Durban although no proof or evidence of being there. She does not know how is Nduduzo at home. Nduduzo does not know his father, hears those telling stones about his mother but did not see her for 18 years now. Nduduzo now is staying with his aunt and cousins, he is schooling. He put his trust to God about his difficult life and takes God as his parent. His belief is that being broke or poor is temporal there is bright future ahead through this darkness and life hardship. Nduduzo lives with an example as he does not mind to stand his time teaching young boys his friends to behave and stay away from alcohol, drugs many girlfriends and to focus on school for bright future. 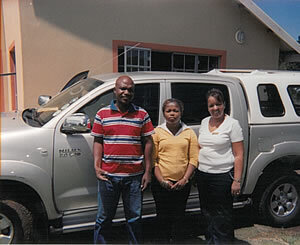 Nduduzo is trustworthy to the adults in his home and the area. I wonder how trustworthy other guys are these days of HIV/AIDS are in your community as you read this story. As a community health worker I learnt that this guy is brave and serious about his future, my wish is that he passes his studies and get bursary to further his education and be a good citizen from all hardships he encountered. I dearly love you mother , you brought me into this world safe. You protected me from contracting HIV. You tested for HIV while still pregnant, you followed everything that you were told by the health worker. While you were pregnant, you did not abuse any substance because you loved me, and you knew that it would affect my growth and development. You complied on taking a healthy diet. You listened. You took Zidovudine tablets at 14 weeks to prevent transmission of the virus from you to me. You took Nevirapine once you were in labour … Wow … what a great mom you are! At 6 weeks a Polymerase Chain Reaction test was done to me and I tested negative. Thanks to you. You continued breastfeeding me, exclusively, and you made sure that I received Nevirapine syrup, you promised me to do so until you stop breastfeeding me, you did not get the temptation to drink alcohol; that would damage my psychosocial and physical development while you were breastfeeding me. Thank you mom, you are the best in the world. You also enrolled in lifelong Antiretroviral Therapy because you wanted to protect me from becoming an orphan, you wanted to raise me even though you are a single parent. I became your top priority. At 18 months the rapid test was done to me and I remained negative. Thank you again for taking me to the clinic for my checkups and immunizations. No words can ever express who much you mean to me. I wish all moms can do the same. I love you mom. These are the guys who really take care of those who suffered and those who cannot stand for themselves in real life at all, for those who live miserable life and no hope that they should live anymore. They came in Franklin when the situation was so bad and no hope, about two or three years back. To bring light in our lives. Challenges of life are in left and right in many people so that they cannot survive easily which meaning that if there are those motivate themselves, give them hope they shall see bright future for them all and its not over when they are facing problems. Even to me as a storyteller I was lost hope of surviving when I was so sick until team of hope has arrive and I thought it was the end of my life. Through team of hope I’m survive and living healthy together with my family. They came when things was so bad. We were have no clinic in our area except a mobile which comes twice a month which basically was not enough because people getting ill day by day under the conditions we are living on it. We were victim of HIV and AIDS, no jobs and no enough nutrition to keep ourselves healthy. The role play by TB Care was so fantastic to bring this team. Ridiculously we feel that we are blessed with patient, respectful team they brought to us and we learn so many things to them eg. To raise hand to those need help. We were just support each other and form supportive groups which include politicians, professionals so that our voice to be listening easily and we were vowing as residents of Franklin to work together with these participants till forever.